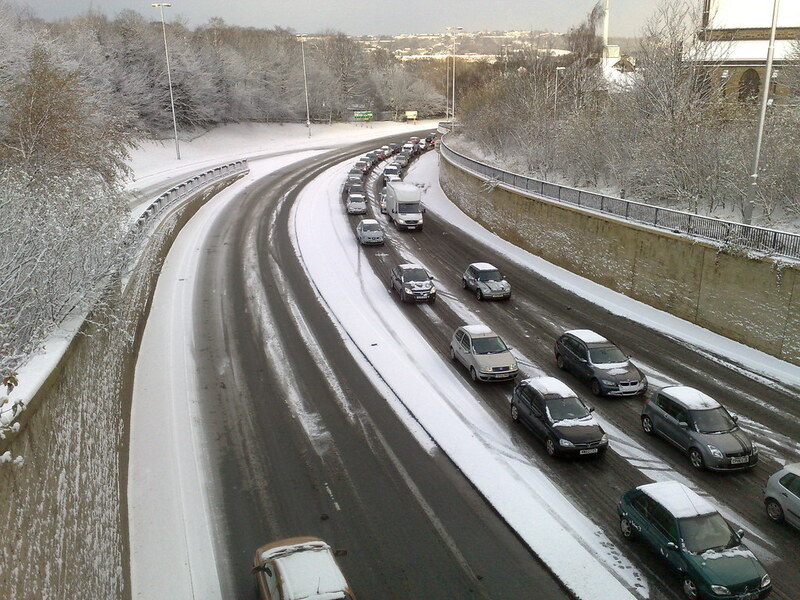 Why are we not making more use of the Internet to cope with Snow disruptions? As I write this we are well into the “Big Freeze” of the UK winter of 2009/10. With a brief respite of about 2 days, there has been snow on the ground where I live for just about 3 weeks now, and we are forecast more. We are told, by those who know about these things that this is the most snow we have had in the UK since 1981. As my kids have now been off school for 4 consecutive days due to the weather, and I am hearing countless tales of people not being able to work, my thoughts have turned to the question of why, in 2010, we are not making more use of the Internet to cope with these conditions. As in many areas of British life, you will probably tell me that the UK has such extreme weather conditions so infrequently that it is not worth the cost of preparing for them, but, as this is now the second consecutive winter where we have had significant snow fall, and it appears likely that climate change may well make this a regular event, surely we should seriously think about how we prepare for such occasions. And, in this context, as we are supposed to be moving increasingly towards both delivering more education online, and adopting more flexible working practices, surely these should come into their own at these times, shouldn’t they? I have been quite annoyed by some of the accounts of “heroic” struggles to get to work through the snow, because, it seemed to me, that some of them just weren’t necessary. Driving in snow is a dangerous thing to do, especially if you don’t know how to modify your driving style to take account of the conditions, as many of the drivers I have witnessed obviously don’t. And, because so many people don’t know how to do it, additional congestion, jams, and accidents are caused at such times, potentially holding up people whose journeys ARE essential. How many times have I heard that gritting lorries can’t do their job because they are blocked by congested traffic? OK, so, I say to all employers whose work could as easily be done by people working from home with a computer, an internet connection, and a phone, now is definitely the time to get over your hang up about having to see all your employees sat at their desks under your watchful gaze. Ultimately, you’ll probably get a lot more done if you encourage people to stay at home and do something productive, rather than spend much of their time in snowbound traffic jams worrying about whether they’ll ever get home again. And, I have been astounded at how my kids’ school has no plans in place at all to ensure they are able to do any work when kept away by the snow. So, I have a number of proposals to put forward on how we should be using the internet and technology to deal with the chaos caused by the snow. thirdly, plans should be drawn up for local resources such as community centres, libraries, uk online centres, etc. 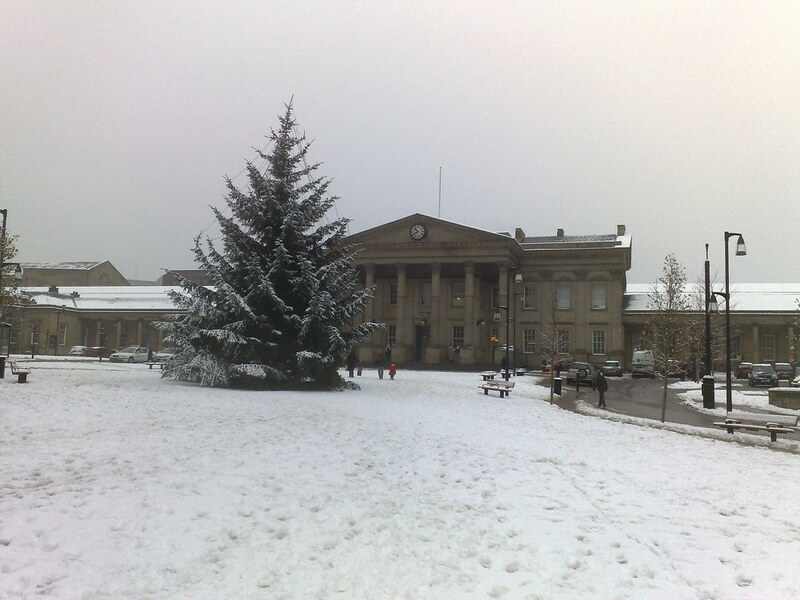 to operate as local flexible working and learning centres on “snow days”. This last plan would see local centres being open on such days for those who do not have the facility to work from home to drop in and use computers, the internet and other resources to continue their work or education. On the work front, it would be interesting to see what people who come together to work in such centres might produce while interacting with a different set of “colleagues” to those they are usually with. And many people might prefer to the sociability of such an environment rather than working at home in isolation, even if they might have the facilities in the house. And, there are lots of teachers who can’t get to their schools in bad weather, but might be able to get to their local flexible working / learning centre to supervise local young people while they work. I know there are child protection and other issues to be overcome here, but I reckon a policy like this can be made to work if there is a will, can’t it? And, if this DOES work, it would help to overcome another problem at times like these, that of people who COULD get to work, having to stay at home to look after their kids who can’t get to school. I think these are potential practices which could not only help us to cope with travel disruption in bad weather, but might have applications at other times as well. I would welcome views. 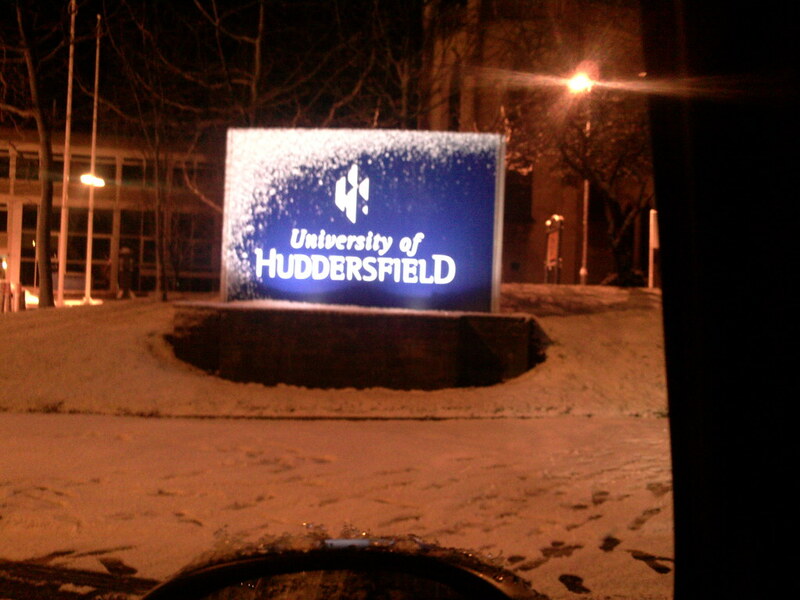 This entry was posted in Snow, Uncategorized and tagged #uksnow. Bookmark the permalink. Great post, thanks. If I bothered to blog you would have just summed up my thoughts about the matter entirely and saved me the hassle, thanks! Years before CRB checks teachers were expected/did report to their nearest school and presumably even now there is nothing stopping them ‘registering’ with them in advance. The school where I’m a governor had to close this week despite the fact it’s a village school and most of the pupils could make it, because our teachers live too far away. This was not a decision that the head took lightly. We opened on the second day but some teachers had to make what were almost certainly ill advised journeys to do so. Ultimately if teaching staff can’t make it in what you end up providing is a creche facility which is better than nothing, but far from acceptable. So yes, report to nearest school (as you would in NHS), great idea. When schools closed because of strikes in the 1980s exam candidates were invited to meet staff (en masse) for set work. Surely, in this Internet n Wi-fi enabled 21st century the F2F meeting isn’t necessary? As for making yet more insistence on schools being instructed to do this, that n whatever? Oh for the blissful days when educators were trusted to fulfil their role without interference and persistent bullying by the ‘Nanny’ State! Great post. Where I previously worked we had well developed flexible working practices and attitudes. I was gob-smacked, when the debate at my new place had half the team saying working from home should not be an option in our ‘snow’ policy, as it is not fair because not everyone can. There is a large battle to be had shifting people’s attitudes from 9-5, presenteeism and distrust. I don’t think the battle takes long to win, but organisation leaders have to want it. 1. High Green Development Trust has kept Paces Campus open each day since we re-opened after Xmas and have all the facilities your proposal requires. However, the Trust does not have the capacity or financial resource to ‘go it alone’ and would need to work in a partnership. The problem these days is that more people don’t work locally. I remember everyone used to walk to work or at the most catch a bus. We can reverse this by using the internet to make a lot of things local again. universal connectivity will help, but currently rural areas don’t have decent access. I also know that many schools have been kept closed even when children and teachers could get there. This is because of the risk of ‘slip and sue’. My son in law is a teacher and they took the decision to stay closed until all the areas around the school they were responsible for were cleared of snow and ice. We used to make slides in the playground when we were kids. Not allowed now. I think your post is great, and agree with it, and what is called for is plain old common sense. We have the technology. Now we need to use this valuable resource instead of shying away from change. Great blog I wrote something simular but nowhere near as in deph, I’ll keep uptodate . I think it’s very much a cultural issue then a technical or logistical issue. Another thing is that last winter we had the worst snow for 18 years. We recorded a podcast on this issue at that time. When I got back into the office I mentioned that maybe we should prepare something for when the college is closed (I actually had swine flu closure on my mind) but was told that it was so rare it wouldn’t be worth the time and effort. Here we are less than twelve months later with even worst snow. When travel is dangerous or impossible, it is possible to continue the learning process using technology, however culturally we see closure as stopping everything, even when we could do something. Great post – thank you for writing it. Just one question to anyone – are there any figures anywhere for the number of people who lost their phone or internet connections in the last week? I lost our phone connection – and calling BT gave a pre-recorded message that they’d had a lot of faults reported because of the snow. Yes, some of us might have the technology in theory – but did it fail for many last week? Great post and it highlights a real problem with the way that we approach work and what we understand as work. For many work is somewhere that we go rather than something that we do. In a similar way managing work involves gathering people in a place rather than gathering people around a task. Of course some jobs require people in situ but those that don’t still retain an industrial society rather than a knowledge society perspective. Until our society grasps the difference between the two we will fail to reap the wider benefits and at a more fundemental level until the champions of a knowledge economy understand the need for a knowledge society to underpin the development of that economy we will continue to fail our society because greatest rewards will remain in the hands of the few whilst the rest of society will be left in a post industrial society sustained by knowledge droppings. I am an artist working with a range of groups around Cumbria – I am working from home today as I the snow prevents me from driving etc… my work will be a mixture of skype – chat – collaborative – websites and the good old phone … this is very much an experiment for me and I relish the opportunity to have a go – finding out what works and what fails! the type of work that I do involves student lead learning and dollops of investigation and trial and error – so my role is to inspire – coach – and pull the process together at times. I agree with some of the points others have made (e.g. if you’ve lost electricity / phone at home, it won’t work) – and also the point re. CBR checking. However, from a practical point of view if >50% of people can do it, then worth doing it, rather than having <50% of people struggling in to work / uni etc. In Hong Kong we have strategies in place for school closures due to the history we have had with SARS, bird and swine flu where schools have been closed for weeks at a time – so if your school wants some ideas on how to harness ‘distance’ education, Hong Kong may just be the place to find it! Thanks for this thoughtful post – I agree with your ideas and sugestions – but also empathise with many of the comments made – what happens when there is severe weather is often a state of mind, with many people I’m sure finding it just a good excuse for extra time off. I’m lucky in that my department provides full homeworking facitilities, and while I’d hate to work from home all the time – I value face to face interaction too much, it is a great relief to know that when conditions dictate, I can work from home (and probably get a lot more done than if I had struggled to the office, and spent the day scanning forecasts and worrying whether I was going to make it home). my husband and I both work from home, so apart from a few problems with internet connection this ahs been a fairly typical working week for us. My daughter has been at home, although her school was open we couldn’t get her there. She and her friends have discussed school work on facebook and msn, while her school posted a note on their website advising students to log in to their online learning and search for tasks set by teachers. I’d love to see more local hubs, shared spaces and opportunities to meet with other home based workers and a culture which sees the value in flexible working. I think from what I am hearing that your daughter’s school is an exception. Maybe next year they will all be doing this…. Good questions John – and the commenting here shows that people with imagination are willing to tackle this problem using computers. I think we’ve had the past decade to get used to the new digital tools; the next decade is going to be about how we put that technology into practical use. Old small employers haven’t paid attention to some of the advantages of internet connection. They love to micromanage and there is still some reluctance to outsource their work. New companies already come with freelancers in mind, and they use them continuosly. I’m part of a council web team, so I know that it’s really important for us to make the best use of our web, digital TV and mobile sites to keep people informed about services and support. In one way, we’ve done a better job of this than we did last winter. For example, we’ve made use of twitter to share information and answer questions, and we’ve been able to share details of school closures much earlier in the day than we have before. However, in terms of working flexibly and adapting to the situation, I’m not sure that we’ve done so well. On Tuesday, I was one of the people who made it into the office, via my usual route (public transport). I don’t live far away, but the journey took me an hour longer than usual, and I knew that I’d have to walk back home. When I was congratulated by my manager for getting there, I found myself thinking “but I’ve just wasted an hour”. I wondered about the people who had been looking for the latest information on our digital TV site, whilst I was stuck on the bus and unable to update it. I didn’t feel that I was doing the best I could for those customers. Although our council is keen to introduce more flexible working, our culture just isn’t that advanced at the moment. In an emergency, our emphasis is still on getting people into the office, rather than getting people up and working as quickly as possible. For those of us whose job it is to share information with the people who live and work here, getting online should be the top priority, not getting into the office. It sounds obvious when you say it, but our team has never really talked about this before. So, on Wednesday, I didn’t go into the office. Instead, I updated the sites that I manage from home. I did a better job for our customers that day, and yet somehow I felt guilty for staying at home. I shouldn’t have. Reading John’s post reminds me of that. In the mornings in particular, when people are logging on to our sites to find out about road conditions, school closures, bus cancellations and other service disruption, of course we should already be there, working to support them. Those of us who can make use of the Internet to cope with disruptions and emergencies are lucky, and we shouldn’t waste that opportunity. My manager told me that I could stay home if it helped me (and it did), but that wasn’t really the point. I was trying to help others. It is, after all, what council workers get paid to do. 72prufrocks, – wow. I wish there were more like you. You are exhibiting what is becoming known as ‘joined up thinking’ or JFDI. @72prufrocks – that is a brilliant attitude. The councils where I live and work just don’t get twitter. And spamming out photos from a flickr group (sort of getting the idea of social t’interwebs) and never interacting with or replying to people is not using twitter! I think this post hits the nail on the head in a lot of ways. Despite the fact we can work from home, I’m not sure some of the management were that impressed the more days that it happened which links to the culture issue raised already. Why struggle to get into the office wasting hours rather then getting up and getting on with it with no commute? Me, I stayed at home and got on with it! 🙂 I know I’m lucky in that my role can be done just about anywhere, but so could many with a little bit of preparation and forward thinking. Just heard someone on Radio Leeds saying they had turned back on way to work, and were now working from home. The presenter offered an opinion that no one who says they are working from home actually does any work. This is the attitude we are fighting against! I don’t think I can say it better than @72prufrocks – I’m of the same mindset; get on with the job as quickly and efficiently as possible to help people as soon as we can. I’m also in a council web team and as well as being responsible for publishing updates to our website I’m running our social media channels as well. We’re definitely ahead of where we were this time last year in that we’re now using the social web but also in that we’re more able and aware of our position in communication and the need to be as real-time as we can. Somewhere near the top of that list though has to be getting a better contingency plan together to allow our team to work remotely. Being so frontline in communication we should be able to work from anywhere at anytime. Like the social media side this has improved over the last year – we can now access our CMS remotely for example, kind of (it only works on IE). A problem here is also the connection speed. With my broadband peaking at 0.13mb/s download using our CMS remotely was painfully slow. It’s not like I live in a sea fort – 20 mins out of two cities in semi-rural Derbyshire but that’s the best connection I can muster at the moment. Given that most of what I do is content updates via CMS working at home wouldn’t be a frequent occurrence with this issue. We need to think about how to overcome these issues though, improve remote access to essential systems and make us fully operational quickly away from the office so we can offer the same level of service in bad weather or other emergency situation as we do 9-5 week days. Well put Sarah! It sort of sums up the problems which are rife in digital britain at the moment. The tech issues are slowly being overcome, workers are getting IT, councils are grasping the social media tool and trying to use it for digital engagement, but at home they have no access for either social media or work because of poor internet. Government does not seem to want to accept what we tell them. They choose to believe the quangos and telcos instead of the people they were elected to represent. If they want us to use it in the efficient way you are trying to then they have to provide the infrastructure. I am sure the market forces will provide it in the cities but none are interested in us. The rurals. The ones actually doing all the work. They drag us into the towns and cities every day using time, money and carbon, when in actual fact most of the work could be done at home. Or in rural offices and branches. Thanks for chipping in to John’s debate, the more people who do the better. Power to the people. Its coming. JFDI. It is 00:40 and I’m sitting next to a council worker who’s still working from home. I think individuals do get what you are saying. Organisations though struggle, mainly because they don’t trust their people? Can we make sure we get it right for next year? My feeling is we need to start soon in demonstrating to organisations what can be done and how. Who is going to lead on this? I’ve owt insightful to say. But it’s lovely someone has acknowledged somewhere that just because you _can_ work from home, that you might not nessarily want to work from home, because you’re just the sort of person who works best when surrounded by noise & chatter. OH is working from home too today and appears to work better in utter silence. It’s not working very well at all. It’d be ace if there were somewhere down the road I could walk to with laptop in hand, with a kettle and some chatter. Pingback: e-Learning Stuff » Blog Archive » Snow more problems! Pingback: Wesenwille » Blog Archive » Welcome to 2010 – But not the future? 4. Employees should consider how they will get to their place of employment, as contracted to do, when their preferred transport is unavailable. If they live too far away from work to walk, whose problem is it – theirs or their employers? Thanks for finally talking about >Why are we not making more use of the Internet to cope with Snow disruptions? | John Popham’s Random Musings <Liked it! 8 years on, and nothing much has changed John… sigh. A few forward thinking companies are now doing it, if their employees have connectivity at home, but not heard much coming through from gov, health or schools. Keep fighting the good fight. Thanks to the efforts of you and your colleagues, Chris, you live in an area of relative remoteness which has some of the fastest broadband speeds in the world. There must be some stories of people using B4RN connections to beat the snow?